And meeting all of his screaming fans. (SPOT.ph) It was only last week when Aquaman stars Jason Momoa and Amber Heard, along with director James Wan, stopped by Manila for their global tour. When they arrived, they first did a quick press conference with local and international media talking about their movie and how excited they were to be here. Not long after, they made their way to SM Mall of Asia to attend a special Fan Event and the Asian Premiere of their blockbuster hit. (It earned P230.4 million in its opening weekend in the Philippines.) 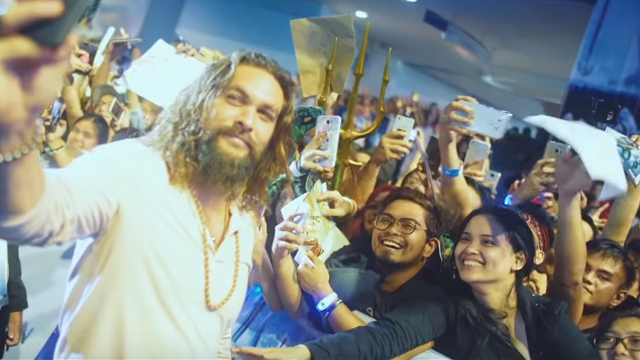 And while lucky fans got to meet and take selfies with the stars, Momoa brought a team along to document the whole experience. He uploaded the video on his own YouTube channel, where he also posts other videos of his trips. The video starts off with Momoa talking about how long traveling to the Philippines took him—he left a party in New York, took a 16-hour flight to Hong Kong and had a three-hour layover before flying to the Philippines. But he got a warm welcome in Manila, to say the least, because airport personnel couldn't help but shriek with glee upon his arrival. Momoa gets even wilder reactions when he arrives to meet fans (who had probably been waiting for hours). He takes the time to sign items and take selfies before taking a quick break. "Have you ever seen anything like that?" he asks Heard. "I've never seen anything like that, man," he continues. Heard also answers, "No, that was nuts." He addresses his fans one last time, saying, "It's the biggest honor to represent the islands—a pleasure. And I hope you love [the movie]. It means the world to me. And I love you!" 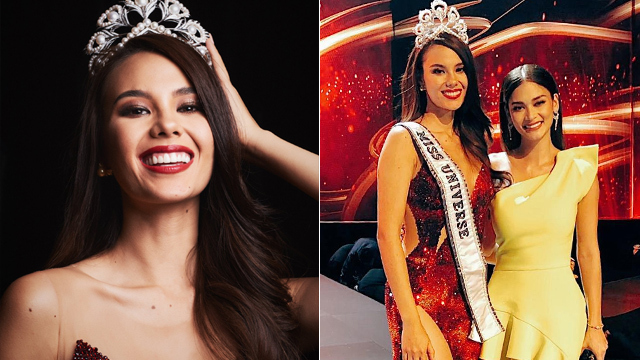 Fingers crossed that he'll find his way back to Manila's shores when Aquaman gets a sequel!